When we think of Gangwondo, maybe the first thing that comes in our mind is “beaches”. 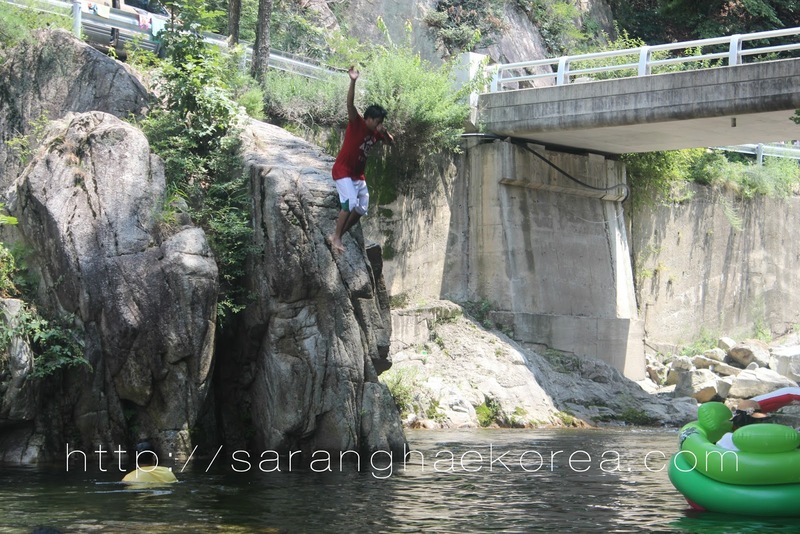 Sure, Gangwondo has beautiful beaches but places like Hongcheon offers a different kind of experience to its visitors. Hongcheon is a home of the most popular summer destination in Korea, the Vivalde Park Ocean World. As I like to avoid the mainstream, I am not going to talk about the Ocean World because I haven’t been there just yet. So what did I do at Hongcheon? Last summer, our church community in Korea held its first ever baptism ceremony at the river of Hongcheon in Gangwondo. It was also an opportunity for us to kick off our summer vacation since the place is way colder than in the City. 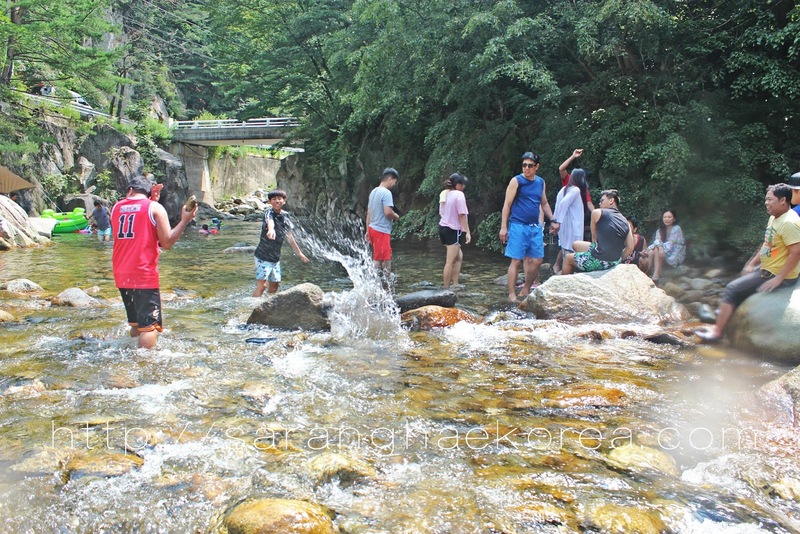 For hotter days, Hongcheon could be a great destination because when we arrived at the place, I forgot it was summer. The weather was not as humid as in Seoul and all I felt was cool breeze from the green trees of the mountains that envelope Hongcheon as if protecting it against any unwanted invaders like typhoon or storm. 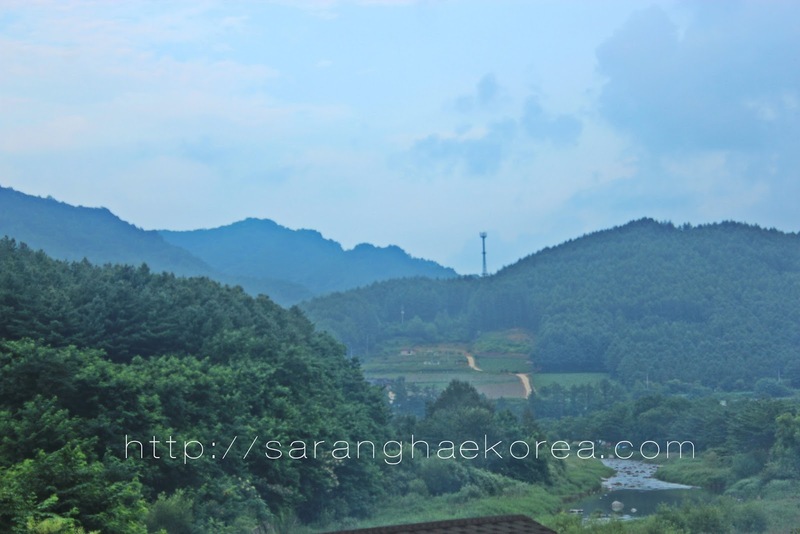 On our way to the river, we can’t help but amazed with the villages in Hongcheon. It looks like the county is in an outskirt area of Korea already because its terrain is mainly mountainous. As I look everywhere, all I saw was mountains and mountains and mountains, but the houses and the villages are definitely one for the book. I love how sophisticated the houses eventhough it’s not in the city. The houses are something you would like to live in for a relaxing vacation. While we traveled to look for the best river, we can’t help but noticed the agriculture at Hongcheon. 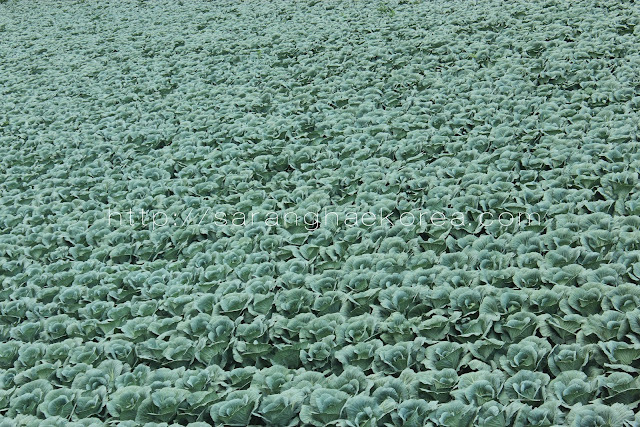 Farmers could be very happy with the outcome of their hard labor because their crops which are mainly rice, corn and vegetables looked so healthy, as if they were happily waving at us while we passed at some unknown street in the county. 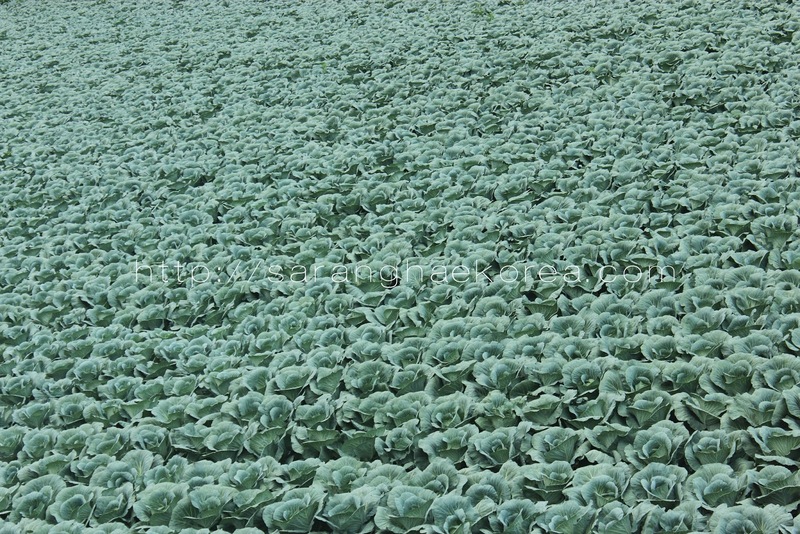 The green fields reminded me of my own hometown in the Philippines. The star of Hongcheon, in my book, is actually the river. That was what we came for in the first place. We were a little bit worried because when we arrived, the river looked like muddy, but luckily, it’s just one part of the river because on the other side, it was clear and clean. The challenge though was to find the best, or at least a comfortable spot to camp in. We were already hungry when we arrived so our first priority was to find for a place where we can have a picnic. It’s not surprising how the river was quite crowded that time seeing that it was summer when we went there. People tend to go to cool places like the river during summer days. The good thing about the place is that, it is open for everybody and everywhere (as long as there’s space) could be a perfect spot for picnic. After our breakfast, we walked our way down to the river just to check it out. Since we still have ample time, we ended up swimming in the cold water of the river of Hongcheon. I like how there are spots good for swimming, and there are spots good for those who just like to step on the riverbed without the intention of getting wet. The only setback was, it was so cold, icy cold. We gradually soaked our body in the water because we really can’t stand the cold. After a long while, we got the hang of the water and finally enjoyed swimming in the river. Since when was the last time I swam in the river? It was quite a nostalgic experience for me. I also spotted some squirrels freely running in the giant roots of the trees that surrounded the riverbed. It was surreal for me because my belief for the preservation and love of nature has been restored right at that moment. So we swam the whole morning in the cold river until we burned all the food we ate. During lunchtime, we ended up hungry, we went to the pension house we rented to have some rest and to take our lunch. Yes, you read it right, there are pension houses in the area, which means, people are really going to this place and stay for several days to enjoy nature at Hongcheon. It is also important if you could get a contact of the pension houses in Hongcheon and make some reservation so you can ensure you have a place to stay there. Our pension house was an actual family house. The kind owner of the house shared their humble abode to us so we could spend a night at Hongcheon. They provided a kitchen so we could cook and eat, and shared several rooms to us so could comfortably sleep at night. In the afternoon, we went to the river again for the baptismal ceremony. The river was not as cold as in the morning, so after the baptism, we decided to stay in the river and we swam our heart out until dusk. Swimming was more fun in the afternoon than in the morning. The heat of the sun was not that harsh and the water was a little bit friendly to us. Although I was so in love with the Hongcheon River, there are still a lot of lovable things about Hongcheon than just the river. It’s a peaceful county with friendly people and a very impressive natural environment. 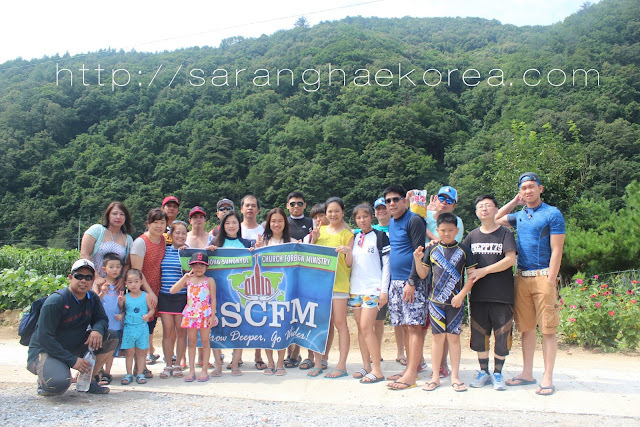 Overall, Hongcheon offered us a fun and relaxing vacation. It literally took us away from the hassle and buzzle of the city life. Sounds like a wonderful place to trot off to once I need an escape from the city. I love going swimming...pretty much anywhere. Were there fish in the river? Seems like it was a great trip out of the city. Swimming during the summer can't be beat! Great post! Seems like a great place to go to when one needs a break from city life. The river looks amazing. Reminds me of my hometown! Looks like a lovely spot, you seem enchanted by it! If I'm stuck in Korea for another heat wave, I'll plan a trip to Hongcheon straight away. I grew up in the countryside and loved playing in rivers as a child. It would be nice to enjoy it again. Oh man, I wish I had more time to visit places like this! It sounds like such a lovely day, and the river sounds beautiful! Hongcheon looks fantastic. I love quaint places like this in Korea. Thanks for sharing and exploring! Gangwondo is one of my favorite provinces of Korea. The inland is so beautiful and there is so much to see. It looks like you had a great day. This looks like a great way to spend a day (or two) outside of the city and enjoying nature! I'm really glad there are pensions nearby and that the river warmed up a bit in the afternoon ^^ Great trip, thanks for sharing! I had been to Vivaldi on a summer and would love to go back there again on a winter. I didn't know about the rivers around so this is a good read. I love the way the rivers here are preserved and maintained for people's use. As both of us come from the Philippines, you know what I mean hahaha... That's why I had a good laugh when i read that part when you said something about restoring your faith in preservation. I was actually ther on the weekend. Not in the river but in Hongcheon county we drove out Saturday and came back Sunday morning. I wanted to get into an area with less light pollution to test out some astrophotography. But very beautiful, my wife and I admired the lush greenery and mountains as we were coming back in the morning. Hongcheon seems like a charming place to visit. I'm glad you mentioned the pensions, now I'm thinking of planning a couples-trip to the country for the fall.